Mutual Funds are today one of the most popular investment products in India. They are products which investors can enter into, even with less commitment of time or financial education per se. To make the deal even sweeter, they even carry lesser of a risk than individual stocks, though that ends up reducing the return rate as well. Over the last few years, thanks to education by Association of Mutual Funds in India (AMFI) and some great advertising by the Mutual fund Asset Management Companies (AMC), a lot of Indians are taking the plunge into equities via the SIP route. By the end of this post, none of this will seem like mumbo-jumbo. Would you rather read the post at your leisure? Click to download the PDF of this post. 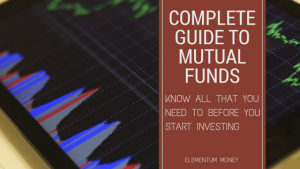 Mutual Funds simply refers to a product where a large number of investors’ funds are pooled together by professionals to buy and trade securities – be it stocks, bonds or precious metals. While there is a whole team behind the well-oiled machinery, the front-end face to a mutual fund is the fund manager. Often, people correlate a fund’s performance to its’ manager. The company managing the mutual fund is called an AMC or Asset Management Company simply because they are the ones managing the assets bought from investor funds. Alternately in regular parlance, they are even referred to as Fund Houses. So, companies like Franklin Templeton, DSP Blackrock, Motilal Oswal etc. are all AMCs or Fund Houses. Often also referred to as Money Market funds, these funds invest in Money Market securities. Money Market, as defined by Investopedia, is a market where financial instruments with high liquidity and very short maturities (overnight to one year) are traded. These securities include the likes of treasury bills, certificate of deposit, call money etc. Liquid funds are often touted as the answer to where to invest emergency funds? However, did you really understand where all that money is going? Me neither. Also, this is not risk-free. The day that you suddenly need emergency cash, what if you are actually trading at a loss? In my opinion, Fixed Deposits are a better place to park money that you can need at any time. It’s always there and currently, the interest rate is also a healthy 6.5-7%. A similar performance with the hassle of paying brokerage and 15% short-term capital gain (STCG) does not seem worth the hassle or the risk to me. Debt funds are a type of mutual fund that generates returns from their investors’ money by investing in bonds or deposits of various kinds. These terms basically mean that they lend money and earn interest on the money they have lent. This interest that they earn forms the basis for the returns that they generate for investors. This means that these funds are not connected to the stock market per se, reducing the volatility and the risk. They earn returns through two ways – interest income and by trading in the bond market, as these bonds are traded before maturity. The two parameters for fluctuation on the bond price are – interest rate in the economy and repayment from the borrower. Bonds and their funds are often graded on quality and borrower repayment ability (like an individuals’ credit score) by credit rating agencies like CRISIL, ICRA etc. Debt funds often give a slightly higher return than fixed deposits and are touted as a good way to reduce the risk from equities. I am still on the fence on this one, preferring to buy bonds directly. The most popular range of Mutual Funds and personally my favorite, these funds invest in publicly traded company stocks. Stocks are essentially micro-shares of company ownership being traded on a market. Equity funds are the ones with the highest risk and the highest historical trend when it comes to the returns. Within equity mutual funds are another few types of categories which we will discuss in the next section. Most equity funds have a lock-in period of one year. However, an ideal holding period for equity mutual funds is at least 5-7 years as that is generally a good enough period to smoothen out volatility. Balanced Funds are a type of fund investing in a mix of debt and equity to balance out the return and the risk. Any balanced fund with more 65% invested in equities is considered as an equity mutual fund in terms of taxation. While this definition till very recently was on the basis of the specific amount of market capitalization, SEBI has now changed it to include only the first 100 companies in terms of full market capitalization. Essentially these companies can be categorized in the “too big to fail” bucket. Companies like Infosys, Tata Steel, Maruti Suzuki would fall in this category. Large-cap stocks are known to be less risky but also lower return potential. The reason is simple – these companies cannot disappear overnight, making them less risky. However, considering the size they have already achieved, growth gets muted with such a big base and an already saturated market. Hence, such funds will show slow growth but also stability for less principal erosion. SEBI now defines mid-cap as the 101-250 companies in terms of total market capitalization. Like a middle child, there is little you can say about it that is not in comparison to the other two caps. It is higher growth potential than large-cap but not as high as small cap. It is less volatile than small cap but not as stable as large cap. Small cap is probably the poster child of equity markets, with any company beyond 251 in terms of total market capitalization. If you look at only the returns, without the risk, then you can never go wrong with small caps. That is, essentially, what the financial media does anyway. However, most of these companies are young and at a stage of scaling up which implies higher risk. If those risks pay off, rewards are as big. In sports terminology this category is more like – Go big or go home! This mutual fund invests in different categories of stocks to balance out the risk and return spectrum. Large cap for the stability and small cap for the returns with a dash of mid-cap. ELSS or the Equity Linked Savings Scheme is a government promoted category of mutual funds that is exempt under Section 80C. So, if you invest Rs. 10,000 in an ELSS Mutual Funds, that Rs. 10,000 is eligible for income tax exemption in that financial year. However, this is also the only mutual fund that comes with a lock-in period of 3 years. Index funds were first popularized in the US by John Bogle and Vanguard. These funds fall under a category referred to as passively managed funds unlike the rest of the actively managed funds. These funds do not have a fund manager monitoring performance or making trading decisions. Instead, the invested funds simple mirror an index like BSE or NSE and charge a much lower cost to the investor. While they are one of the most popular investment products in the US now, personally I believe, in India actively managed funds do exhibit a better performance than the indices. Want to read the post at your leisure? Click to download the PDF of this post. NAV was one of the terms which I didn’t know before I started investing. NAV is the price at which the mutual fund is currently trading. Unlike with individual stocks where the price changes by the minute, the NAV changes only at the end of the trading hours. It’s an easy calculation too. Just divide the AUM with the number of Mutual fund units outstanding. AUM is the total market value of the funds being managed under a particular Mutual Fund. Generally, the AUM of a fund keeps growing with the number of years of existence, unless there is a major market downturn. Folio number is like a Mutual Fund account number. It is a unique identifying number for an investor with a particular mutual fund. If you invest in 2 funds from the same AMC, then you still get two folio numbers as they are attached to individual funds and not the AMC. As mentioned earlier, this professional expertise of managing your money to invest and trade in securities comes at a cost. As per SEBI the total expense ratio for equity mutual funds is capped at 2.5%, for debt funds at 2.25% and for index funds at 1.5%. While these numbers might seem miniscule right now, check out this example to see how these small numbers can make a big difference. If you are in India, there is little chance you have not heard of SIP. Many people tend to get confused as to whether SIP is a different category altogether of Mutual Funds. There are two ways for an investor to invest in Mutual Funds, with respect to frequency. They can either invest a lump sum in one-go or small amounts every month. SIP or systematic investment plan refers to the mechanism where investors can automatically invest an equal amount every month. So, instead of investing Rs. 60,000 at one time in a mutual fund, you can choose to invest Rs. 5000 every month which would be automatically debited from your bank account and into the chosen funds. SIP has a lot of benefits since it is automated and gets the investor to make more and more investments. However, it deserves a post of its’ own, which I will save for another day. Most mutual funds have a minimum investment requirement of Rs. 5000 for a one-time investment and Rs. 500 per month for SIP. As mentioned earlier, the money from Mutual Funds is used to buy securities. Most securities give some income from time to time – be it dividend declared by company stocks or interest income from bonds. On the basis of the action taken on that income, there are 3 types of schemes that you can opt for within a Mutual Fund. Of this, Dividend and Growth are the more popular ones. As the name suggests, any such income yielded by the security that makes up the Mutual Fund is paid out to the investor. So, if you are holding an equity Mutual Fund with 3 stocks A, B and C. If in one quarter, company A announces and pays out a dividend to its’ shareholders, it will be directly paid out to you. If in the next quarter, companies B and C announce and pay out a dividend, yet again you get it directly. Dividend schemes are recommended for investors investing a substantial amount and also looking for regular income. In Growth scheme, the only time an investor gets any funds back is when s/he redeems units of the Mutual Fund. Any dividend or income from the assets is added on to reflect in the NAV. Check for the dividend and growth NAVs of a single Mutual Fund that has been traded for long and you will see a vast difference. Growth schemes are recommended for investors looking to make the most out of compounding effect on a long-term investment. This option sort of straddles the two paths. In this type of scheme, the dividend or the income is used to buy more units of the same Mutual Fund. So if you are holding 1000 Mutual Fund units of Rs. 50 NAV, your investment is worth Rs. 50,000. Suppose you earn a dividend of Rs. 1000, instead of being paid out, that will be used to buy an additional 20 units of the same fund to make it 1020 units worth Rs. 51,000 for you. If seeing the number of mutual fund units grow is important to you, then you could go for this scheme. Close-ended funds are a new development in the Indian Mutual Fund scenario. These are funds which have a limited period New Fund Offering and are also traded on the market. However, they have a timeline to maturity as well. You cannot redeem the units before maturity but you can trade them on the market. With close-ended stocks there is no historical trend that can be considered and if there is a market downturn. As a new investor, till the time you have enough knowledge, it is always better to go with the tried-and-tested open-ended funds. There are 2 routes to investing in mutual funds – regular or direct. The regular route is one which goes through a broker and ends up charging a brokerage over and above the total expense ratio. This cost is factored into the NAV. In the direct investment route, there is no brokerage charged. Till very recently, I thought you could invest only with the AMCs to go the direct route. However, there is now a service called Mutual Funds Utility whereby you can invest in the direct route for Mutual Funds from the top 28 AMCs at zero cost. There are also other more user-friendly services like Clear Funds which provide this service at a small cost. There are two types of taxes levied on Mutual Fund investments in India on the basis of how long they have been held – the period being defined as short term and long term with the returns being termed as capital gains. For debt funds, short-term is defined as 3 years. Short-Term Capital Gains or STCG are treated as income and taxed accordingly. So, if you invested in Debt Fund A for Rs. 50,000 and sold it for Rs. 70,000 after 28 months, Rs. 20,000 is considered to be an additional source of income. If you fall in the 30% income tax bracket, you end up paying Rs. 6000 (30% of Rs. 20,000) as income tax. If you redeem your debt funds after 3 years, it is considered as a Long Term Capital Gain or LTCG. The gains are then taxed at 20% after factoring in inflation by defined indexation numbers (Alas, this will require a separate blog post). For equity funds, short-term is defined as 1 year. Short-Term Capital Gains or STCG is taxed at 15%. So, if you invested Rs. 50,000 in Equity Fund X and sold it at Rs. 60,000 in 10 months, you are liable to pay Rs. 1,500 (15% of the gain of Rs. 10,000) as tax. For a long time now, long-term capital gain or LTCG on Equity funds was tax exempt which was a great boost to get people to invest. From April 1, 2018, LTCG on equity funds will be taxed at 10% beyond Rs. 1,00,000 gain in a single financial year. The prices are grandfathered until Jan 31, 2018. Read a detailed explanation here. 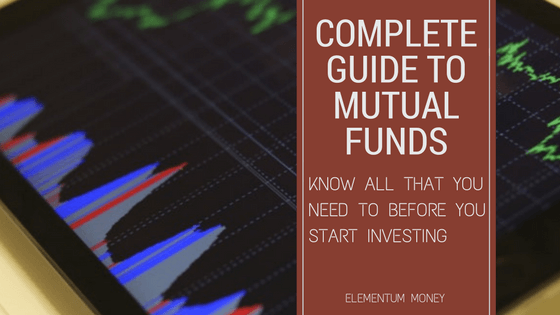 How to start investing in Mutual Funds in India? These are some basic details any investor should know about before jumping on to the Mutual Fund bandwagon. Today, investing in Mutual Funds is really easy in India. Just googling “Invest in Mutual Funds in India” gave me more than 25 Lakh results in 0.65 seconds. However, take a call whether you want to do it through a trading account that you can also buy direct stocks with. Ensure you are well-versed with the cost structure of your account. Most importantly, go with a trustworthy name and ensure it is SEBI certified. After all, this is your money that you are entrusting the broker with. Investing is simple when we take some effort to know the details about the options. If you read this thoroughly, you dear reader are definitely ready to make informed decisions in your Mutual Fund investment journey. Want to re-read the post at your leisure? Click to download the PDF of this post. Hi Aparna, What are some of the MF schemes you invest in? What I do follow is investing in a mid-small cap fund if I am looking to lock money for atleast 10 years, a large-cap fund for more than 5 and less than 10 years and in case I might need funds earlier, I lock it up in Balanced funds to reduce the risk of equities. I will however be writing soon on the process with which I choose Mutual Funds which can help with making a better call.